Since December I have barely spent any time in my apartment. I went to West Bengal, Gorkhaland, and Sikkim for two weeks, then I was sick for a week and half before spending my new years in Hampi, Karnataka. I came home for three days before spending a week and some in Andhra Pradesh, shooting the project for HMRI in Hyderabad. Again I was back for three days before leaving for Belapur and a rock climbing competition. Back for three days before I left for Bangalore and Hampi. I came home on the fourth, got wickedly sick, and left on the 10th for another climbing destination, Badami in Karnataka, where I am writing from now. The views and climbing here are incredible, but they will be highlighted a little later. 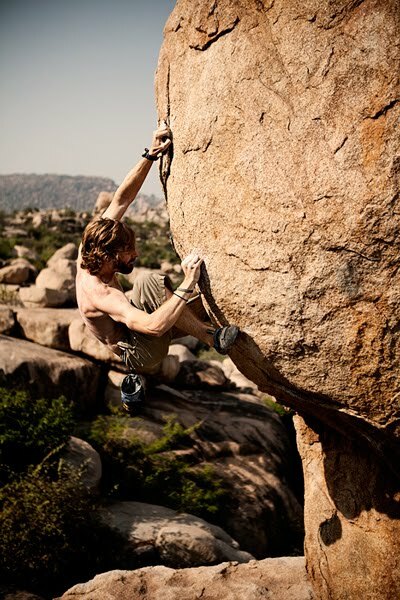 I want to showcase my climbing photos from Hampi, but I am submitting some of the photos to magazines and sponsor and they do not like accepting photos that have already been published somewhere. As I showed in an earlier post, Hampi is an unreal beautiful historical and magical place. Here are some more photos of the scenery. I just really like this rock. What do you see? Thanks to Michael Fuselier I got a picture of myself climbing on a picturesque boulder on the Junglee plateau. I met the beautiful yoga instructor and healer, Lucy Jones from the UK, who wanted to practice her yoga on this beautiful rock near Lands End on the Tungabhadra River on Hampi Island. Previous Previous post: Website update!